Do you know how EC Montreal students are evaluated? How do we determine when it is time for you to move up to the next level? This is a question that is asked of us often! The answer is a lot more simple than you would think! Depending on what level you are in, you will be given a test that is scheduled in advance. The results of this test will let our evaluators know if you are on target, above target or below. If you are on target, it means that the level you are in is the right one for you! You should continue at this level until you have reached the language objectives of that specific level. If you are above target, it means that it is time for you to move up to the next level! You have demonstrated that you are ready for a new challenge and have met all the objectives and expectations at your level. If you are below target, it means you need to work a little harder to meet the target. The EC guarantee is that we will help you get there! If you put in the effort, so will we! If you have 100% attendance and are motivated to learn, EC Montreal will give you free one-to-one lessons to help you get on target with the rest of the class! We hope this helps to answer any doubts you may have about how you are evaluated at EC Montreal! We hope you will continue to work hard at achieving your language objectives! Remember, we are here for you! 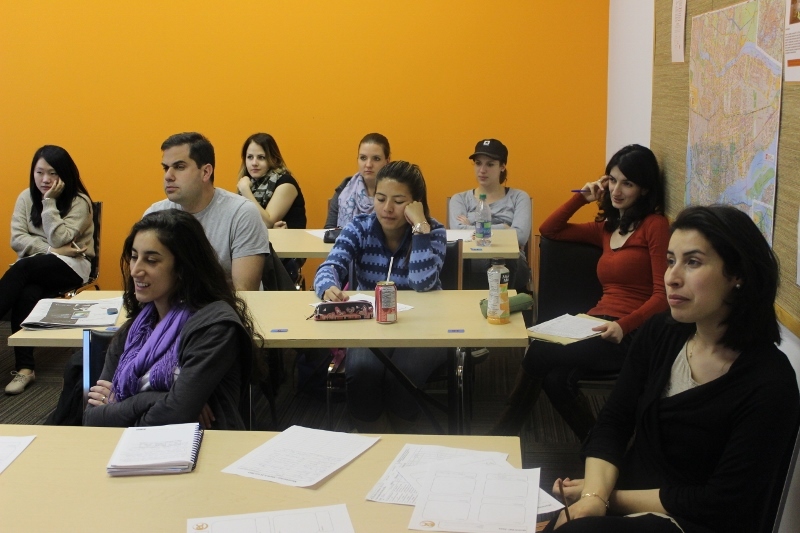 If you have any doubts or concerns about your level or EC’s teaching method, you must let us know so we can help you! Happy learning at EC Montreal!